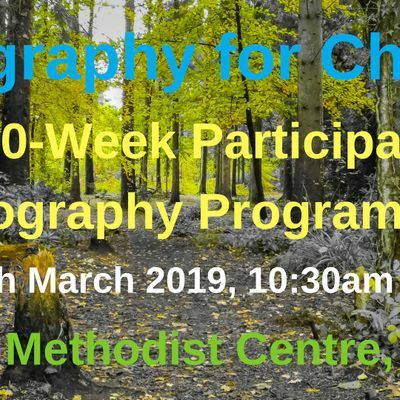 Photography for Change is a participatory photography project based in Exeter, which consists of 4, 10-week participatory photography programmes. This third programme will take place at The Mint Methodist Church Centre, Exeter with the workshop 1 on Tuesday 26th March 2019, 10:30am - 1:30pm. The final session will be on Tuesday 28th March. Photography for Change project uses photography as a means of engagement and empowerment and is managed by Meridian Raw CIC and funded by the Big Lottery Fund and aims to provide the opportunity for communities to come together in a creative project and develop their own photography project and develop their photographic skills. 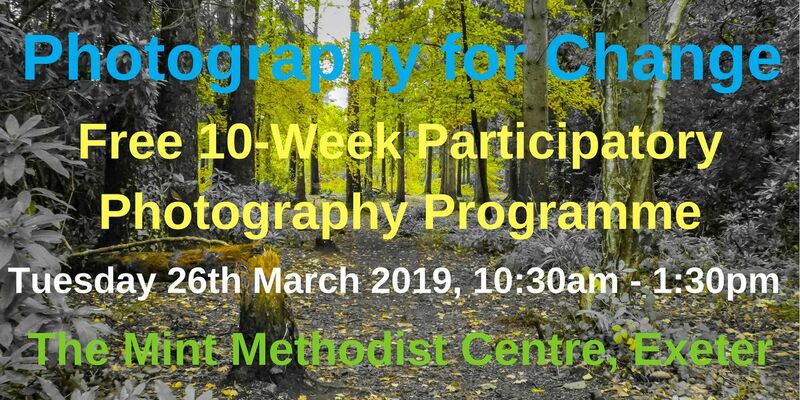 In addition, participants will be encouraged to use photography as a means of change in their lives or within their community. Throughout the course we would like you to have access to a digital camera, so please bring along your digital camera or digital phone so the facilitator is able to see what equipment you will be using in the project. If you do not have access to a digital camera then we may be able to supply one, however, we only have a very limited number.